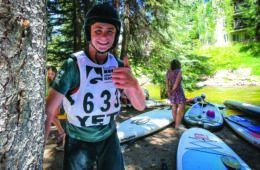 At the age of 16, Miles Harvey represents the future of the sport of stand-up paddleboarding. 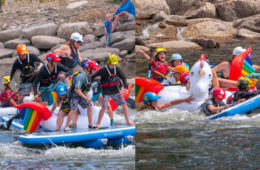 Gunnison River Festival was a gathering of the whitewater tribe. 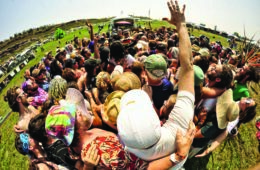 Check out the Live Outside and Play road team's latest festival recap! We kicked off our summer on the banks of the Arkansas River in Buena Vista, Colorado. Check out our recap of CKS Paddlefest 2018! Summer is on the way and it’s time to plan a full season of events that will get you moving, shaking, racing—and maybe even taking some time for contemplation. EO’s annual festival guide puts the next seven months of outdoor lifestyle happenings at your fingertips. So peruse these listings, circle your favorites and pack up the cooler, tent and hula hoop. Bring on the festing! 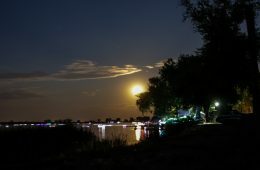 "Spread out across the spacious reservoir, headlamp-clad paddlers in kayaks and canoes, and sprawled out comfortably on top of stand up paddle boards, patiently waited for the blood moon to rise." 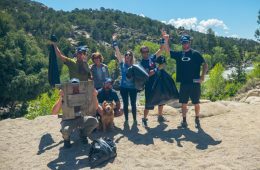 The Live Outside and Play team heads west! 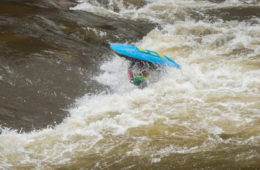 Find out how their first festival in Colorado went down with quick their recap from Memorial day weekend and CKS Paddlefest.